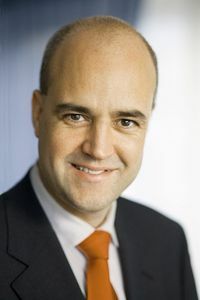 …Swedish Prime Minister Fredrik Reinfeldt said on Saturday his government would not condemn the report. But it appears that the Swedish PM is not familiar with his constitution. The Instrument of Government, the Act of Succession and the Freedom of the Press Act are the fundamental laws of the Realm. (1) The freedom of the press means the right of every Swedish subject, without prior hindrance by a central administrative authority or other public body, to publish any written matter, and not to be prosecuted thereafter on grounds of the content of such matter other than before a court of law, or to be punished therefor in any case other than a case in which the content is in contravention of an express provision of law, enacted to preserve public order without suppressing information to the public. The act is quite long, but I could find nothing that even suggested that the government is prohibited from expressing disapproval after the fact of anything published in a newspaper. 15) affront, whereby a person insults another by means of offensive invective or allegations or by any other insulting behavior towards him. It seems to me that a decent case could be made that Aftonbladet has violated all of the above. This entry was posted on Saturday, August 22nd, 2009 at 8:34 pm and is filed under Antisemitism, Media. You can follow any responses to this entry through the RSS 2.0 feed. Both comments and pings are currently closed.